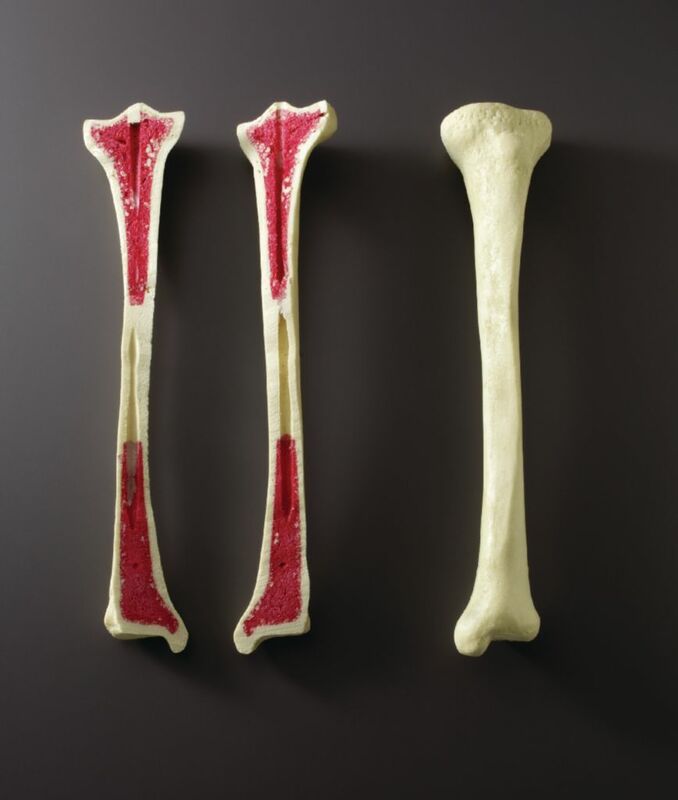 Using FoamBones and other materials included in this activity, students get an in-depth look at the structure and function of bone at both the macroscopic and microscopic levels. 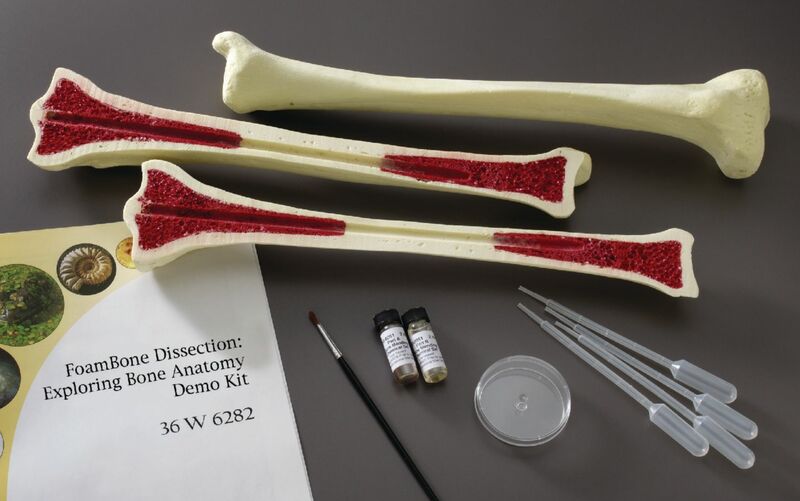 Students first observe the external and internal gross anatomy of a tibia by cutting through a tissue-realistic FoamBone to reveal compact bone, spongy bone, and even red bone marrow. They then observe the microanatomy of those same structures, as well as developing bone, by using prepared microscope slides of human bone tissue. 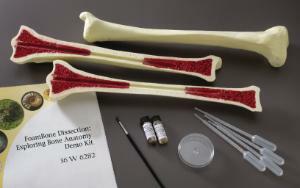 Using a broken FoamBone and a special compound, the instructor performs a simulated bone-healing demonstration. In an optional activity, students can witness the effects of calcium depletion on bones using chicken bones the instructor supplies. The kit includes a teacher's guide, a student copymaster, and material for eight setups. 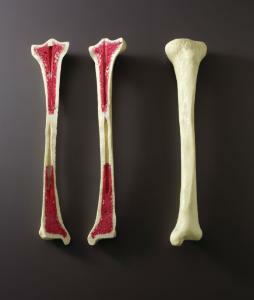 Ordering information: The demonstration kit includes tibia FoamBones and a bone-mending compound. The activity kit includes tibia FoamBones, a coping saw, a C clamp, a FoamBone holder, a disposable petri dish, camel-hair paintbrushes, disposable pipets, an osteogenesis slide, a calcified compact-bone slide, a decalcified compact-bone slide, a cancellous (spongy) bone slide, and a bone-mending chemicals set. A compound microscope, protective gloves, and a ring stand with a clamp are required but not included. Chicken bones, jars with lids, white vinegar, a scalpel, and forceps are optional.